Welcome to Pareo Island Sarongs! Every order is processed promptly with our aloha. FREE shipping to US zip codes for retail orders. International shipping for $30 on any size order. Exclusive artwork inspired by the beauty of the Hawaiian Islands. Crafted by skilled artisans using age old techniques. Your pareo is unique! Hand painted by premiere artists using the best color-fast dyes on the finest quality 100% rayon. Your pareo and clothing will hold its shape and color through years of machine washing and drying. 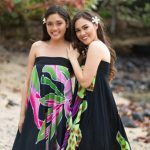 Pareo Island also offers you clothing made from the same hand painted rayon – dresses, skirts, tops, beach cover-ups, men’s aloha shirts and more! Silk sarongs, too! Store owners and dance groups: we will be happy to be your wholesale supplier. Secure credit card transactions. 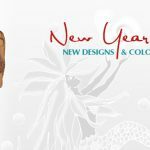 So Many gorgeous designs, take your time and find one that you can’t live without. Learn the many ways that this wearable art can beautify your life: as a wrap, a skirt, a shawl, even a tablecloth or hang it on the wall as a work of art. Discover the native in you, and wear your sarong with a smile! Softest, Finest Quality 100% Rayon. Unique Hand Painted Work of Art. Color-fast, Machine Wash & Dry. 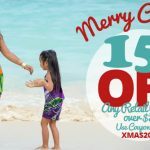 Available in three sizes, full size sarong, half size sarong, and plus size sarong.